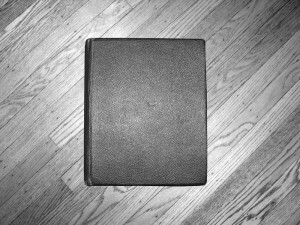 This website is a story about a book.. often referred to within my family as “Grampa’s Warbook”. From the outside, this book is completely unremarkable – it has a maroon leather cover that has no markings. The spine of the book is well worn and soft. 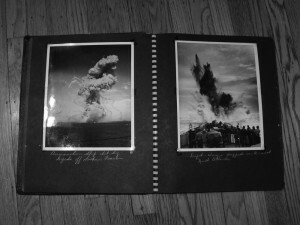 Gazing from the side, you may see that it has dozens of black bound pages. It is when you turn to these pages that the amazing history of the book is revealed. As a child growing up, my grandfather would often tell me stories about his times traveling between the Western and Eastern Hemispheres during World War II. My grandfather – John “Jack” Baker served in the US Coast Guard on the “cutter ship” USS Duane as a medic. 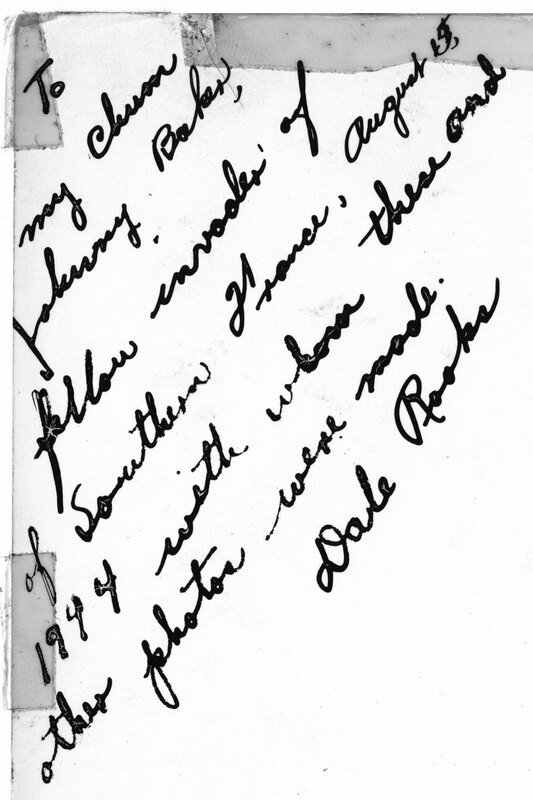 In 1944, a photographer named Dale Rooks came aboard USS Duane. He was told by a superior officer to stick with my grandfather and the two of them immediately became great friends. 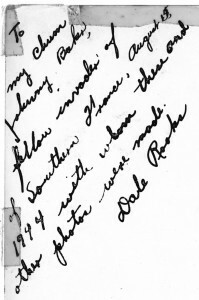 As the USS Duane traveled from port to port, Dale Rooks chronicled the war and life aboard the ship through hundreds of photographs – many of which my grandfather was in. The Warbook contains approximately 150 original photographs taken during the events of World War II including the invasion of Southern France. Although only a handful of the photos are signed, it is believed that a majority of these photos were taken by Dale Rooks. This website is a way for me to pay tribute to my grandfather and to ensure that his stories live on for as long as humanly possible. I will be posting each picture from the book along with the captions that were written alongside them. When possible, I will attempt to reference the official history of the USS Duane with the dates and events as written in the book.